Guggenheim museum in Helsinki, Finland. Fake Industries Architectural Agonism (New York/ Sydney) and SMAR (Madrid/ Perth) were chosen from a pool of 1,715 submissions. The competition was organised by Malcolm Reading Consultants for the Solomon R Guggenheim Museum and Foundation and invited concept ideas for a 12,000 square metre waterfront museum in Helsinki. According to Architecture & Design, the competition attracted more entries than any other architectural competition in history and the range of countries that participated demonstrates the popularity. AGPS Architecture from Switzerland, Asif Khan from London, Fake Industries Architectural Agonism, Haas Cook Zemmrich STUDIO2050 from Germany, Moreau Kusunoki Architect from Paris and SMAR Architecture Studio. As an individual twist for the competition, the names of the companies were not matched to their designs when they were announced to the public and judges. The brief given asked for an architectural design of the highest quality that created a presence in Helsinki. Submissions needed to include galleries, a performance hall, educational space, a café and bar, a smaller formal restaurant, administration offices, practitioner spaces, collection storage facilities, a retail store, as well as other facilities. There was also a requirement for an outdoor display for sculptures and projects to be designed within the projected $200 million budget. 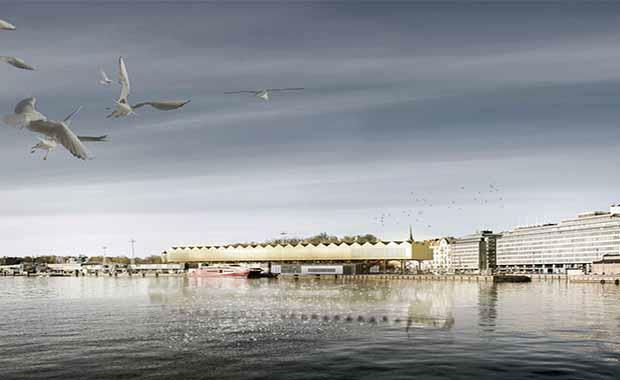 The finalists will now visit the site where the Helsinki Guggenheim is expected to go in January, before they produce detailed designs and models by March 2015. Design GH-04380895 takes the nature of Helsinki into the design and through a flexible design, it allows ease of access to both members of the community and visitors. Design GH-1128435973 has two different sections, each with its own use. The lower level has public space and a boardwalk into the city, while the upper level is to house the exhibitions. GH-121371443 design has the museum rotated to the to the harbour front and to have a tactile familiarity to animal fur, due to the naming of the Helsinki city blocks after wild animals. There is also two different levels. Design GH-5059206475 focuses on the interior of the museum. It also reuses some of the materials from the building that currently stands on the site where the museum is proposed to go. Design GH-5631681770 focuses on creating a link between the Guggenheim, the city and the Harbour, as well as creating new experiences for visitors and community members. GH-76091181 gives the Guggenheim a “Beacon-like” appearance adorning the edge of the harbour, that is hoped to attract guests from both land and sea. Galleries will be placed in the vertical towers, with bridges connecting each one. The winner will receive $150,000 (€100,000) and runners-up each receiving $76,000 (€50,000), announced in June 2015.